Reese Witherspoon made sure that the most important people in her life had a say on whether or not she added to her family: her kids. While Reese Witherspoon has not yet officially confirmed her pregnancy, everyone else is doing it for her. Now one insider reveals that adding a baby to her brood was not just the decision of her and her second husband Jim Toth, but her kids had a hand in it, too. “Right after the wedding, Reese expressed a desire to have a baby with Jim,” a source close to the actress told People. Witherspoon has two children with her first husband Ryan Phillippe: Ava, 12 and Deacon, 8. 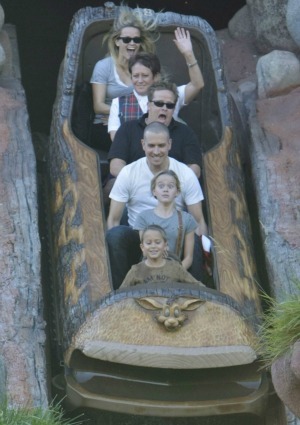 The family is pictured at right on a fun day out at Disneyland. One thing’s for sure: That’s going to be one good-looking baby!